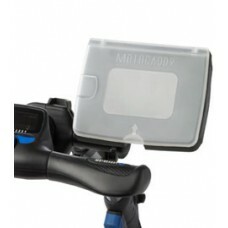 The Motocaddy scorecard holder helps to keep you card dry and protected from the weather. Convenient draw to store golf balls/tees etc. Please note that the scorecard holder requires the Motocaddy Accessory Station to fit to your Motocaddy trolley.